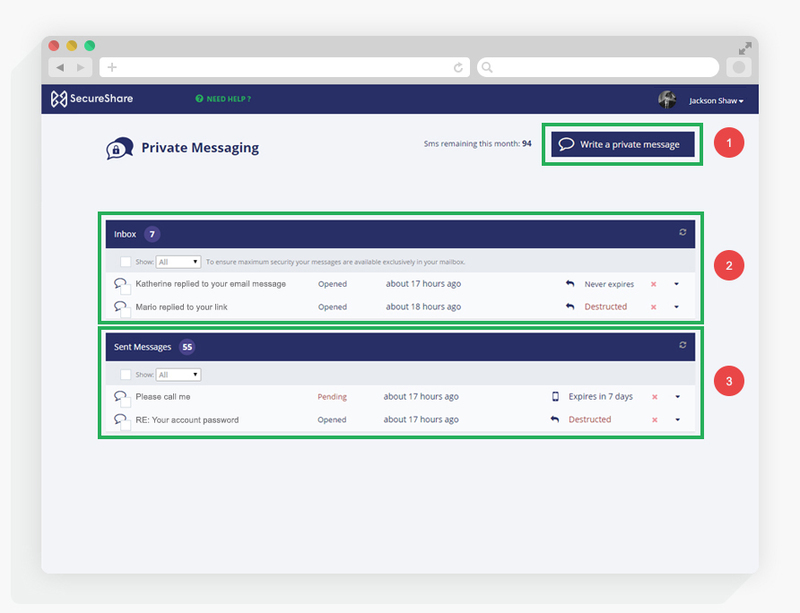 You can send privates messages with other SECURESHARE users and non-users. 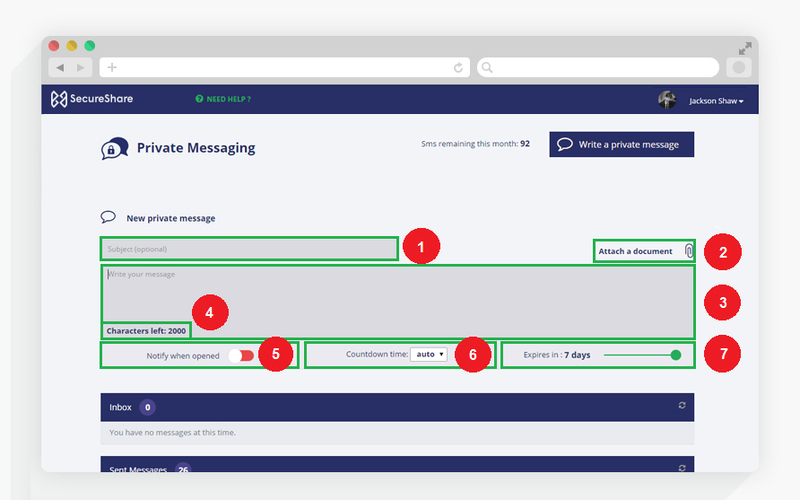 Write a private message : with this button, show a text area to write your private message. Inbox : show all messages you received. Sent messages : show all messages sended by you. After clicking on button "Write a private message", a text area appear. Your message can contain up to 2000 characters. Select if you wish to be notified when the recipient opens the message. Determine the countdown to message deletion. You can specify "Auto" to have a coherent countdown with content of the message. Sliding it to the whole left will let your message to never expire. Four buttons appear under text area. Project Circles : send your message to a project circle or to users from a project circle. You can choose one or more user and send them your message. Email : send your message to a single or multiple Email. To enter multiple email addresses, separate each one with a comma or press the Enter key. The recipient(s) will receive a link to read your message. SMS : send your message to a SMS. This SMS will receive a link to read your message. Share by link : share your message by a link with somebody. If a files was attached to the message you will be able to download. You can reply to the sender. The message disappear and the option to replay and download stay.